November Bullseye Challenge @ North County Shooting Center! 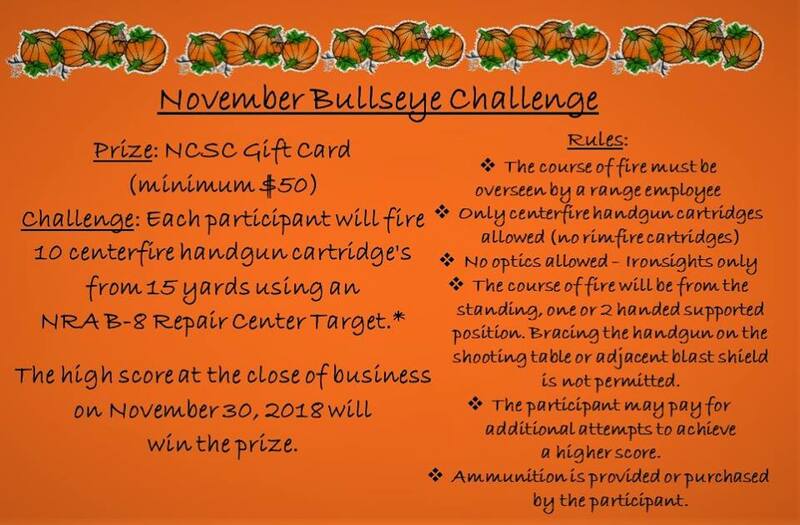 North County Shooting Center Presents: November Bullseye Challenge! We have an awesome challenge going on! Hurry by the range, as spots and and participants are limited. Please give us your feedback. Newer PostCCW Preparation Class At North County Shooting Center! Older PostAmmo Special: Blazer Brass 9mm On Sale Now at North County Shooting Center!